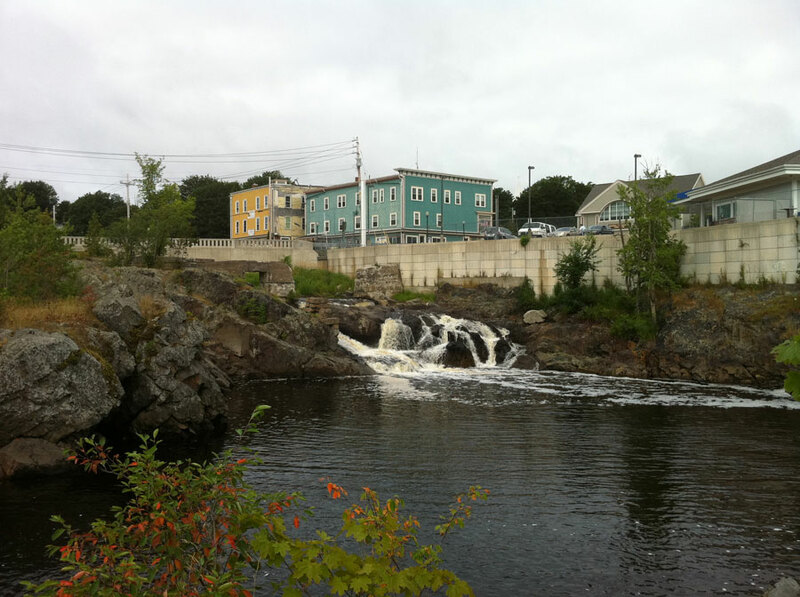 Machias is a Wabanaki word that means “bad little falls,” an appropriate name for this place, where the Machias River cuts through the center of town, falling in a churning froth of turbulent current. 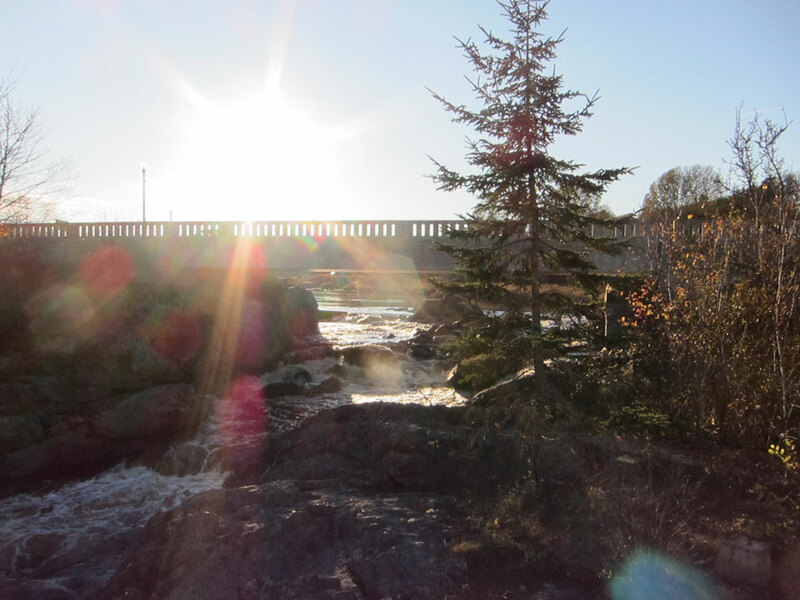 Despite the cautionary title, the power of the falls attracted the attention of early European settlers, who established sawmills at the falls and along the river. 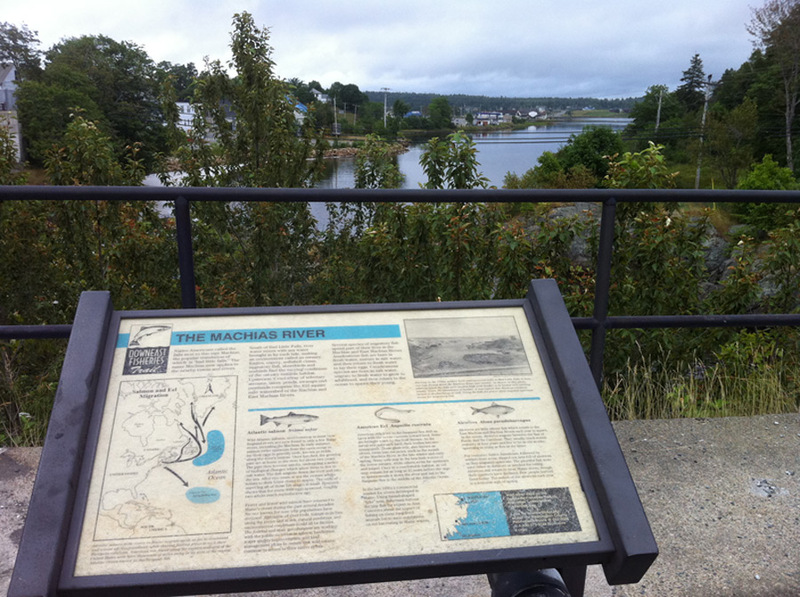 In relation to logging and lumbering, shipbuilding and fishing were minor industries in Machias. 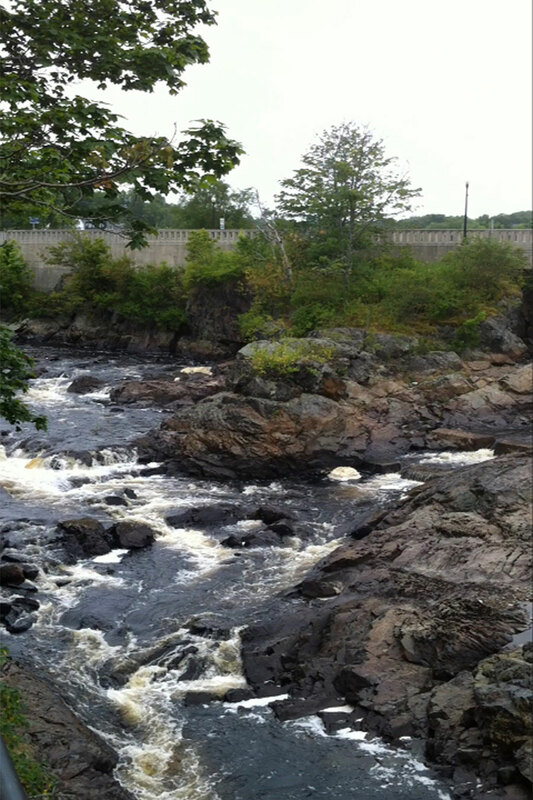 Below the falls, the estuary is visited by eagles, osprey, sea and shore birds, seals, and migratory fish, including endangered Atlantic salmon. Year-round. Limited parking. Picnic area. 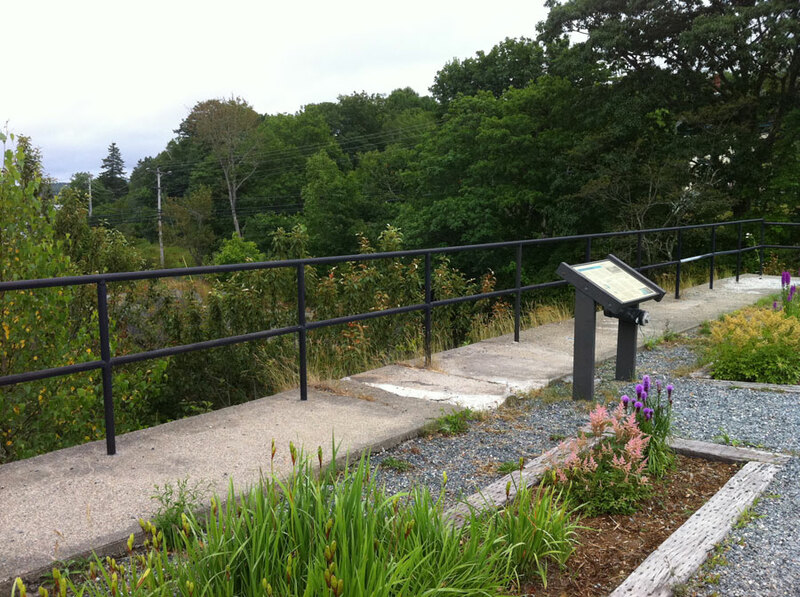 Interpretive signs. 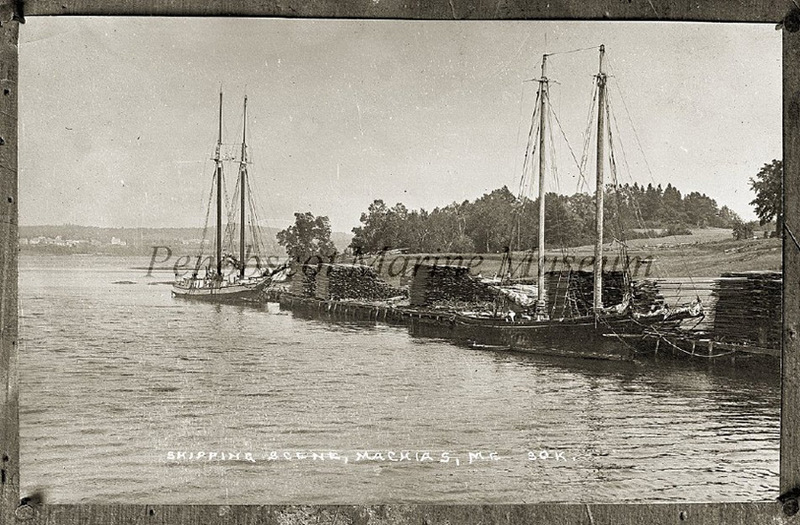 With fishing vessels concentrated in Jonesport, Bucks Harbor, and other peninsulas with direct ocean access, residents of the comparatively sheltered Machias and East Machias villages focused their efforts on tree-cutting and timber-sawing. Stacks of logs and sawn lumber lined both shores of the Machias River, where now the Downeast Sunrise Trail skirts the edge of the estuary. There were, however, several sardine canneries in the area, including Machiasport Packing and Canning, and the East Machias Canning Company (A.M. Look), the first to pack clams and crabmeat in America. Herring weirs extended from Starboard, and local residents routinely caught halibut, cod, and lobsters. Occasionally one of these fishermen would catch a salmon. 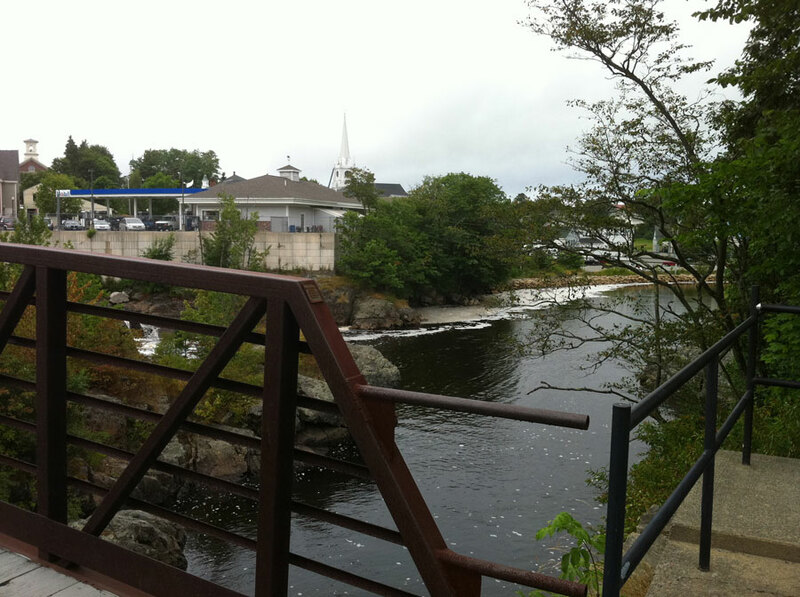 As early as 1785, Machias settlers voted to regulate the fishing of alewives and salmon on the Machias River. Atlantic salmon in the Machias and East Machias rivers are protected by the Endangered Species Act and are the focus of restoration efforts. Today’s commercial fisheries are dominated by lobstering and clamming. Machias was the site of the First Naval Battle of the American Revolutionary War, an event observed each June as part of the Margaretta Days Festival. 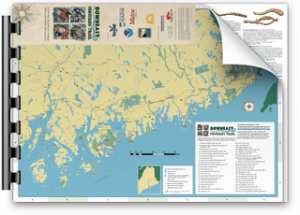 Downeast Maine produces nearly 85% of the world’s wild blueberries. The annual Wild Blueberry Festival celebrates the blueberry with a Main Street parade, fabulous food, crafts and fine art by regional artists, live music, and family activities. 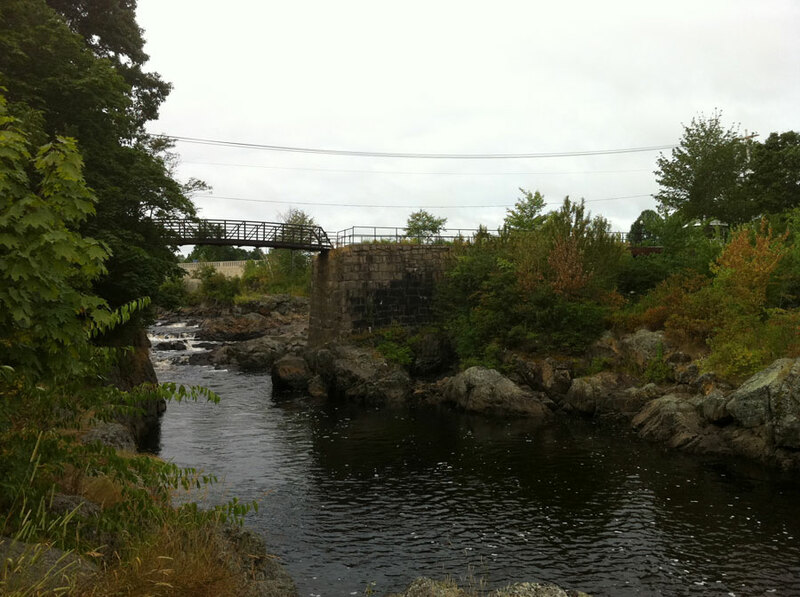 Much of the upstream watershed, including river banks, lakes, and forests once dominated by the St. Regis Paper Company and blueberry barrens, has been protected by The Nature Conservancy and the State of Maine. Harnedy, Jim and Jane. The Machias Bay Region. Charleston, SC: Arcadia Publishing, 2001. Whittier, Henry Smith. East Machias 1765-1926. 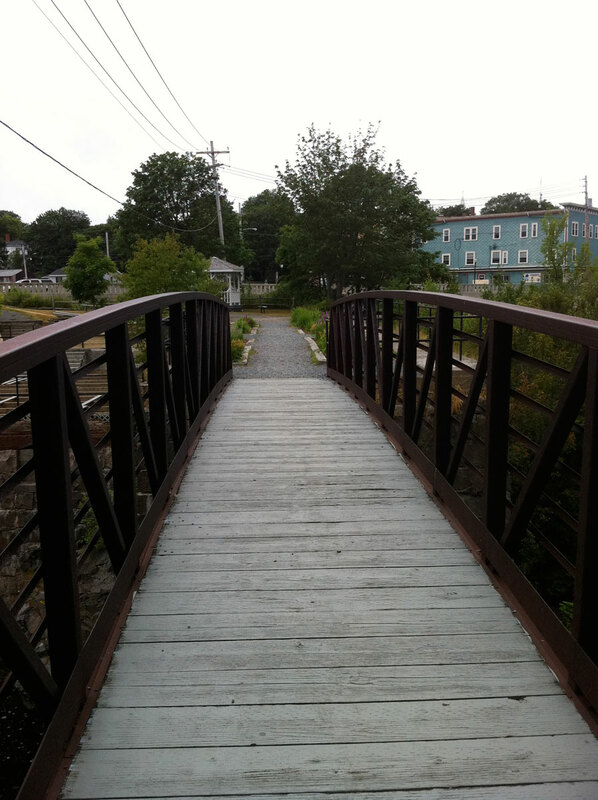 Machias, ME: University of Maine. University of Maine Fisheries Collection has journals from Machias-based fishing vessels, weir applications, and lobstermen’s account books.